2016 College Expectations Volleyball Camp hosted by Sweet Briar College, June 30 - July 2, near Lynchburg Virginia, Directed by Tom Houser. Fun, intense, learning, inexpensive summer volleyball camp...it's all here! Standing: Coach Tom Houser, Lydia Peton, Cathryn Estes, Emerson Scollo, Catherine Reinard, Rebecca Garnett, Sara Brooks, Whitney Bolton, Rachel Garnett, Adrienne Harris, Lauren Shaner, Hannah Berlin, Aubrey Lynch. Kneeling: Laken Lucas, Brianna Sine, Lexi Lam, Katherine Lake, Kristina Silverman, Jordan Bayes, Jensen Schram, Elizabeth Giles, Meghan Mutter, Erica Paredes. Front Row: Cameron Davis, Morgan Loomis, Savannah Pugh, Morgan Ratcliffe, Bailey Delby, Jena Alley, McKinley Moore. Thursday June 30: 10am to 12:30pm, 1:30 to 4pm, 5 to 7:30pm. Friday July 1: 10am to 12:30pm, 1:30 to 4pm, 5 to 7:30pm. Saturday July 2: 10am to 12:30pm, 1:30 to 3:30pm. Maximum Campers: Each 8 girls that we admit will be matched by a college coach and an assistant who has played college vball! Location: The awesome Upchurch Field House, on the campus of Sweet Briar College! You can see it here! The 2016 registration form is here! T-Shirts! Yes! Again for 2016! * Meals will be provided free each day at the camp. * Water bottles need to be brought from home and refilled at the camp each day. We hope to give more awesome awards again, like you see here! A camper can stay two nights in a chaperoned room at the Elston Inn on the campus of Sweet Briar College. The cost is only $40 a night. Our college coaches say, "We will work on transition/wash/game like drills. Situations where you have to score. Not only emphasize the three skills, but do them with a kill. Heavy emphasis on finishing points and not just 'playing correctly'. Let's work on terminating rallies! If they want to play in college that's what I want to teach them this summer!" We will again be using the Sweet Briar College gym in 2016. It's an incredible facility!! More info about SBC can be found at the bottom of this page. Pictures from the 2010 - 2015 camps are on our camp Facebook page! Please visit us here. 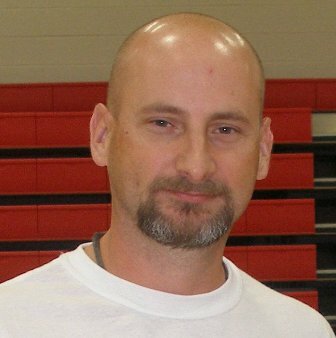 Coach Matthews has over 20 years of college coaching experience. 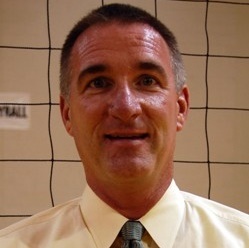 He has been the head volleyball coach at Methodist for 14 years, having taken over the team prior to the 2001 season. He has also been the head coach at Georgia Southern for 5 years, and an assistant coach at UNC for 5 years. You can contact him at ematthews@methodist.edu or at his office phone at (910) 630-7187. Hannah has played 2 years as an OH at Averett University. Both years she has been named 1st team All-Confernece. In her freshman year she finished the season with the 3rd highest kill total in all of NCAA D3 and was also named USA South Rookie Of The Year. In her 2nd year, she had the highest! Plus she was named Conference Player Of The year! Hannah is a 2014 graduate of Dan River High School, near Danville, Va. She played 6 years of school vball and 5 years of club vball. She played on Coach Houser's team in 2012 that attended Jr Nationals in Columbus Ohio! She was named 1st team all state her senior year at Dan River. You can see a nice article about her high school accomplishments here, and an article about her college feats here! You can contact Hannah at hannah_shields3@yahoo.com. High Expectations and College Expectations. * three seasons of competitive ball. * five seasons of competitive ball. This is feedback from the parents in the few hours after the camp ended! "That was by far the best camp we have ever been to! Thank you and your coaches for pushing my daughter to do new things and work harder. She learned so much!" "Thank you so much for a great experience for my daughter. She had a great time and learned a lot during the camp." "Hey Coach Houser thank you for another great camp! My daughter said she had a great time! " "Awesome camp Coach, it was a wonderful experience for not only our daughter but the other girls that we spoke to as well. You should be proud. Thanks so much." "Our daughter told us on the way home that she was now disappointed that she didn't stay overnight. I think she will definitely stay overnight next year and experience the some of the bonding she missed out on. Look forward to seeing you for more lessons soon. You are a great coach and your love for the game the girls is obvious. Great job!" "Thanks again for everything. They had sooo much fun. Sad that next year is our last! " "Thanks coach! I had so much fun at camp this week and learned so much!" "My dauthter really enjoyed learning from you and the other coaches and players. It was a great first, overnight client opportunity for her and glad that her team played well together." "Our daughter had a great time at camp and loved working with all the coaches. She is looking forward to the VIP scrimmage on July 31 + the 2 hr lesson with you that day as well." The High Expectations Camp was the best camp that I have been involved with - the end of camp tournament was a true "tournament" feel with excellent play - the girls showed vast improvement. I hope to see the same again. Barry Kane, host of 2011 - 2016 High, Maximum and College Expectations Camps. Touch here to see the Sweet Briar College website.